From zapping zits to gluing things together, garlic is truly a versatile vegetable. Most of us are familiar with garlic and all the possible uses of this pungent yet tasty vegetable—yes it is a vegetable, belonging to the allium class of bulb-shaped plants which includes onions, chives, leeks, and scallions. Let’s face it, when it comes to recipes like shrimp scampi, the more cloves, the tastier, making garlic one of those vegetables that we love to hate. Though we enjoy its flavor in our food, we detest its odor on our breath. While most of us can easily identify a garlic bulb or cloves when we see them at our local farm stand, few of us are aware of the less popular—garlic scapes, which are the flower stalks that shoot out of the garlic bulb. Similar to its cousin, chive, a garlic scape looks like a long green shoot with a curl, something akin to a pig’s tail. It has a milder flavor than the garlic bulb and can be sliced and sauted, grilled whole, steamed like a green bean or blanched and used in a salad. They can be used in a number of dishes, including dips, pestos, or soup. The scapes are harvested earlier than the garlic bulb and they pack quite a nutritional punch, containing high amounts of fiber, Vitamin C and Vitamin A. Garlic scapes are just one of the many organic vegetables that Colchester Neighborhood Farm is packing into small and large CSA shares this week. Here are some fun facts and nutritional information about this vegetable that you can use to wow your friends. Besides warding off vampires, according to the website chatelaine.com, it is believed that components of garlic and the scapes will help to re-oxygenate blood and maintain healthy tissues and organs. Garlic scapes may help to prevent fractures and osteoarthritis. According to mentalfloss.com China produces the most garlic, growing two thirds of the world’s supply of garlic or approximately 46 billion—with a b—pounds of the bulb. It is believed that the average person eats approximately two pounds, or 302 cloves, of garlic per year—break open the Listerine! Garlic is believed to reduce cholesterol. Garlic scapes can be stored in the refrigerator for up to a month. Ancient Egyptians had 22 medicinal uses for garlic. 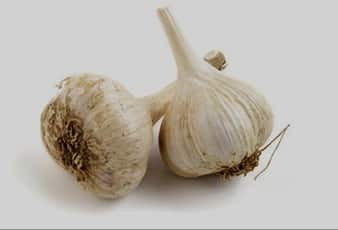 Because of its medicinal powers, it is believed that writer Bram Stoker chose to use garlic as the vampire repellent in his 1897 novel, Dracula. If a pimple shows up the night before yearbook photos are being taken, try rubbing a garlic clove on the blemish. The antibacterial properties of the plant are supposed to clear the skin. And here’s a use for garlic that might take you by surprise, the sticky juice in the cloves can be used as a glue or bonding agent. Whether you want to add some wonderful flavor to a recipe or ward off a few vampires, stop by Colchester Neighborhood Farm this week to pick up some garlic scapes and other fresh organic vegetables and other items, including organic eggs. A time comes in most garlic lovers’ lives when they suddenly go overboard. Gardening types will become so enamored with the stinking rose that they plant and harvest more than they can possibly eat. Others, drawn into a passion-induced frenzy, go to their local farmers market and buy cases of precious and perishable garlic with no idea of how they can possibly consume it all before it spoils. Both scenarios necessitate the exploration of methods of garlic preservation. As we all know, garlic preserved by any method is not a substitute for fresh, but it does have its own charms and advantages, especially when fresh garlic is out of season. Different methods of preserving garlic lend themselves to their own culinary uses, so explore them all and see which ones best suit your needs. Before we examine the specific preservation methods, I want to emphasize that preserving garlic in oil is not safe unless the garlic oil is frozen. Garlic is a low-acid food and oil provides an oxygen-free environment, a combination that allows the growth of the bacteria Clostridium botulism, which causes botulism. However, if you follow the methods for freezing garlic-and-oil mixtures and keep them frozen until needed, it is safe. Since we are discussing the potential dangers of preserving garlic, I would like to bring up a peculiar aspect of garlic’s personality that is a bit disconcerting but not dangerous. Garlic sometimes changes color. It turns blue when its sulfur compounds come into contact with copper. Not much copper is needed for this to happen. The water in some areas of the United States contains enough copper to cause this reaction. Copper utensils can also instigate a color change in garlic. If garlic is harvested before maturity or is not allowed to completely dry, it can turn green in the presence of acid, such as from lemon. These color changes, as bizarre as they are, do not harm the garlic. It is still safe to eat. There are six excellent methods for preserving garlic. They are freezing garlic, drying garlic, garlic vinegar, garlic salt, garlic oil, and refrigerator garlic pickles. Click HERE to find out more about the six methods. The garlic that we labored on this fall is bursting to life! It seems even more eager for springtime than we are. We planted a few thousand cloves and the germination rate was very high. Take a look at that field. Every sprig of green that you see is a future garlic head waiting for all of us! These will grow taller and taller. By early summer we’ll be harvesting garlic scapes (little curliecue shoots that eventually turn into seedheads, robbing the garlic of it’s strong bulb) to toss into soups and stir frys (or anything else! They are delicious!) and by late summer we’ll have garlic ready to harvest and send home in our farm boxes. Come on by and take a look at our beautiful garlic field.